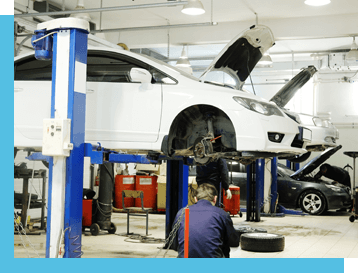 API Auto Repair in Bel Air, MD is your go-to shop for full-service auto repairs and maintenance. The key to our quality auto service is preventing repairs altogether. Your vehicle will “talk” to you if you listen closely. Whether it’s your braking system squealing or it’s the engine knocking, these early warning signs let you know it’s time to visit API Auto Repair. Our ASE Certified technicians have experience servicing all makes and models. We’ll know exactly what services to provide and when to provide. 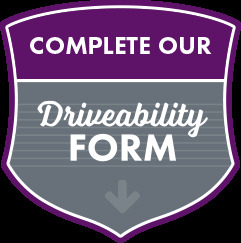 Our effective service plans will consider your vehicle’s age, your driving habits, and its general purposes on the road. The harder your engine is forced to work and the older your vehicle is, the more consistent service intervals need to be. Our quality maintenance services include oil changes, filter changes, lube services, diagnostic services, and more! We also provide quality and affordable fleet services at our Bel Air shop. You can trust our specially-designed service plans to keep you ahead of any potential repairs or breakdowns. Even with a consistent service plan, your vehicle can run into a repair problem. Normal wear-and-tear on the highway can be the cause of a variety of damages. Make us your first stop after you notice any performance malfunction. Many vehicle owners will delay auto repairs because of scheduling conflicts, expensive services, and inconvenience. We remove any obstacles to ensuring your vehicle’s peak performance. Our experts have you covered from bumper-to-bumper, repairing engine, mechanical and electrical systems. Timing is very important when it comes to your auto repairs so don’t waste any of it. The sooner you give our team a look under the hood, the easier (less expensive) your auto repairs will be. Bring us your vehicle for top quality auto repair services, including engine repairs, transmission services, exhaust system repairs, suspension repairs, air conditioning repairs, check engine light service, wheel alignment service, and much more! Today’s a good day to make sure your vehicle is protected and its engine is being preserved. API Auto Repair is Bel Air’s preferred auto repair facility. The same tools, equipment, and expertise that you’ll find at the dealerships can be found at API. Our techs provide affordable services and treat customers like family. Customers appreciate the specialized attention that they receive at our shop and the reasonable prices we have for our quality services. Give us a call today at our Bel Air location–410-569-4096–to schedule your next appointment. With one quick phone call, you can put your vehicle on a path to peak performance. You can even save time by using our convenient online scheduling system. Pick a time and day that works into your schedule and we’ll meet you here! Next time you’re in the Bel Air area near 107 E. Wheel Roadfeel free to stop by with any questions, concerns, or auto repair solutions. Bel Air Fleet Service Bel Air Check Engine Light Elkridge Services How Can We Help You?